Our range of products include industrial timer, analog timer and programmable timer. As a quality driven enterprise, we are engaged in providing a beautiful range of Industrial Timers. 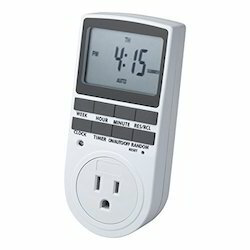 These timers are used to manage actions over a period of time or control how long actions last. At our sound production unit, these timers are manufactured by highly skilled professionals using quality tested components with the aid of advanced methodology in compliance with predefined industry standards. To eliminate any kind of flaw, the provided timers are duly tested against numerous measures of quality. Owing to the efforts of skilled professionals, we have been constantly engaged in offering a qualitative assortment of Analog Timer. Using high quality components and latest technology, the provided timer is precisely manufactured under the stern vigilance of adept professionals at our well-maintained manufacturing unit. 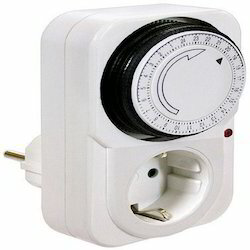 This timer is used to turn electrical appliances on and off at different times. To ensure its functioning, this timer is strictly inspected by our quality examiners against diverse measures as per the set industry norms. 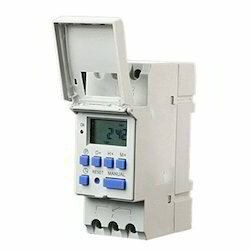 In order to retain our goodwill in this industry, we are providing a latest array of Programmable Timer. These timers are used for measurement, display and control in applications that have variables. The provided timers are manufactured making use of supreme grade components with the help of innovative technology under the stern surveillance of adept professionals. In order to ensure their functionality, these timers are thoroughly tested on numerous quality measures.